The local resident informed the law enforcers about the foreigner stay in the border area. 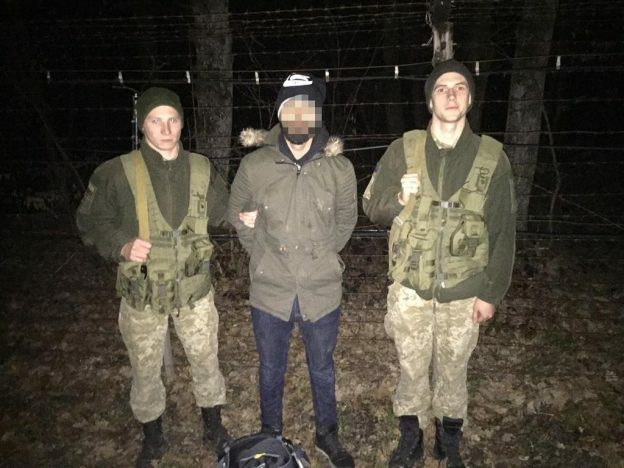 Therefore, information about possible attempt of the state border violation was immediately forwarded to the departments of the Border Guards Service “Uzhhorod” and threatening areas were additional protected. The border patrol noticed an unknown man a few hundred meters from the state border. The man who was moving towards the border turned out to be a Turkish citizen. The detainee had a passport and a bus ticket from Lviv. Aiming to clarify the circumstances of the offences and imposition of administrative sanctions, the offender was taken to the police station “Onokivtsi”. After clarification of all circumstances, they will be brought to administrative responsibility under Part 1 Art. 204 – 1 of the AICU “Illegal cross or attempt to cross illegally the state border of Ukraine”. This entry was posted in Translated Media-News from Ukraine on March 20, 2019 by oksana.